Why the number 911? Dillon chose the number 911 for several reasons, one of which is in remembrance of the Americans who died on Sept. 11, 2001. Also, we are supporters of our Soldiers, and Dillon’s Dad works for a large defense contractor on the BETSS-C project that protects our Troops in Afghanistan with surveillance systems using thermal & night vision cameras, bomb detection, and radar. The project logo will be displayed on top of the gas tank and a patch on his riding suit (leathers) to show support for our Troops. In 2011, Dillon starts college in the same field that his Dad works in now, GeoSpatial, CAD Modeling, and Systems Engineering. The war in the Middle East has become highly politicized but the reality is that Soldiers and even civilian contractors are living and fighting and dying at FOB's (Forward Operating Base) in Afghanistan in nearly intolerable conditions that few Americans back home could even imagine. It is important that their experiences are understood, no matter one's political beliefs because regardless of whether you support the war on terrorism or not, this is their daily reality. 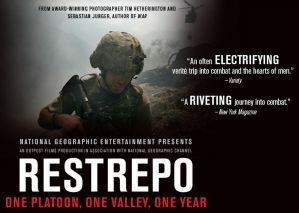 To help Americans understand what our troops go through, there is a documentary that will open your eyes to their daily life of defending our country, our freedom. Click below for more information. Warning: this movie is a documentary and it is the daily life of the soldiers being filmed therefore, it is extremely graphic as well as much language.